Because of their positive energy balance, heat pumps are being used more and more often in home construction. However, these systems can not only be used for heating buildings, but also for cooling them. 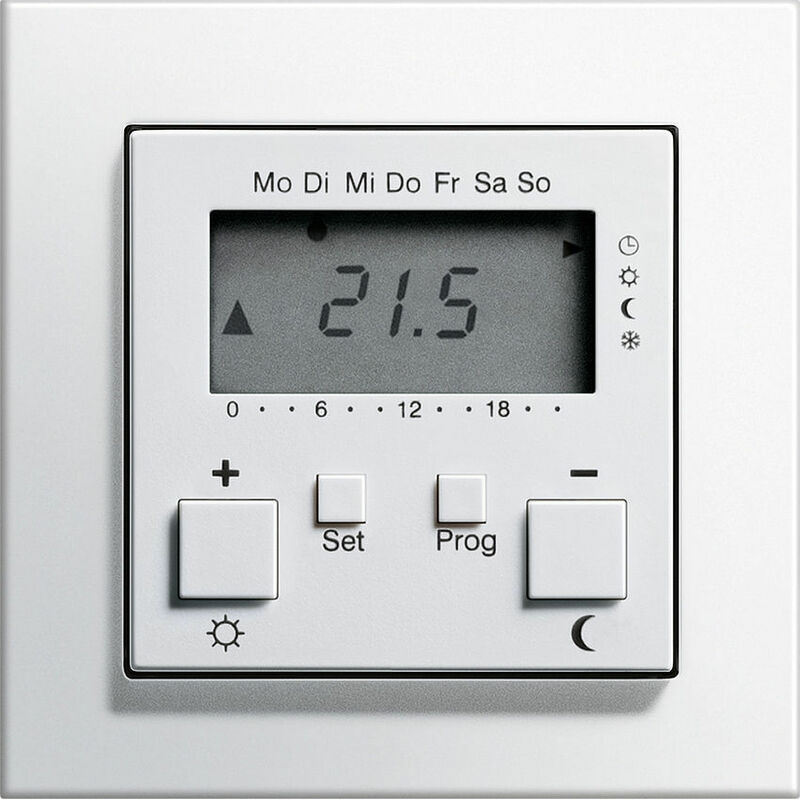 The Gira room temperature controller with clock now offers a special cooling program in addition to the previously integrated heating programs. 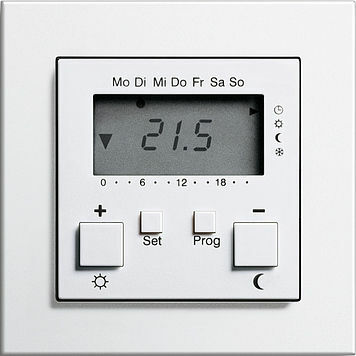 Switching from heating to cooling is via an additional input that evaluates the 230 V signal of the heat pump. Can be toggled between 12 and 24-hour mode.